Offering continuous, uninterrupted care for women and their families during the important childbearing and early child-rearing years. 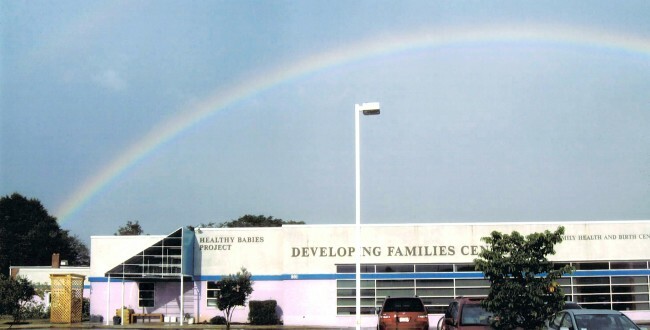 The Developing Families Center (DFC) promotes the empowerment of low-income families through the collaboration of two nonprofit service providers: Community of Hope Family Health and Birth Center and Edward C. Mazique Parent Child Center. The DFC offers comprehensive, one-stop shopping services in the areas of family-centered women’s and children’s health care, child care services, family resource and support services, confidential counseling, and adult education.